Gerringong is a beautiful and quiet little town, just off the Princess Hwy about 1.5hrs south of Sydney. Gerringong boasts some amazing beaches and great surf. The fishing here can be fruitful though I’m not sure the locals will enjoy me saying that. There are so many great avenues for amazing photos here. Sweeping panoramas from the lookouts, street photography in the sleepy town, the cemetery on the hill top, the church over looking the ocean and the amazing golf course on the oceans edge too name a few. 10mins south of Gerringong is Geroa and the famous 7 Mile Beach. There is the Fishermans club overlooking 7 Mile Beach for a decent lunch or dinner. 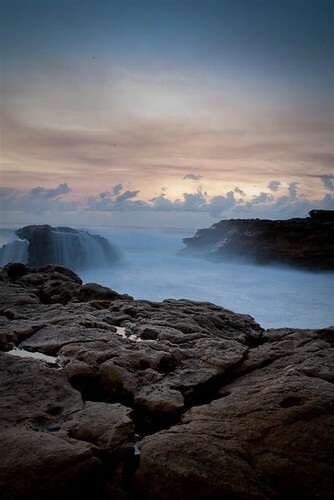 Both Boat Harbour and Gerringong Beach offer great avenues for photographing the sunrise. There are tadal pools and some great rock formations to be found with plenty of cracks and crevices to add texture to your foreground. And the sweeping pristine beaches are just begging to be captured. 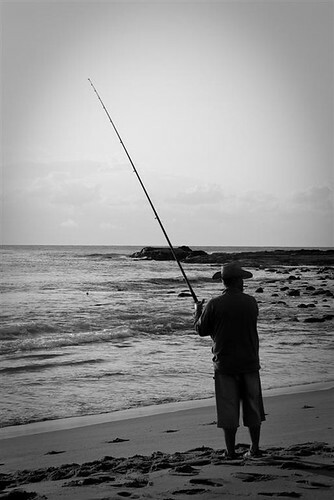 The abundance of fisherman and surfers will keep you busy snapping away. An endless supply of sea birds will keep any wildlife snapper happy. Once you’re done there is a great cafe and bakery to get breakfast and coffee from in town. Being on the beach and headland rocks, wind can be an issue, make sure you check the forecasts especially if you are travelling a long distance to get here. While you can walk from Boat Harbour to Gerringong beach via the rocky headland, I wouldn’t advise doing this at night or before the area is well lit. The headland is full of deep rock pools that are hard enough to see in the daylight. Some are a couple of feet deep. Stick along the cliff face, otherwise it’s hard to get around. Heading south go along the Princess Hwy, past Kiama. Once you’re through the bends after Kiama you’ll see a turnoff at Fern St. and Gerringong on your left. There are two turn offs so If you miss the first, just go down Belinda St. When you get to the 2nd roundabout (1st if you went down Belinda St.) head south and then you will shortly turn left for Boat Harbour at Juptier St. It’s sign posted. Gerringong Beach is just north of here at the first roundabout, Bridges Rd. Heading North from Berry head to Belinda St. or head down Beach Rd. at the northern end of Berry and then turn left at the end, this goes through Geroa, past 7 Mile Beach and into Gerringong. If in Nowra takee Bolong Rd. This leads straight there. Hello fellow Knol writer! — I didn’t know this was you! Nice work.